When we think about it, not many of us are even aware that there are different kinds of water that could affect our body. We simply stick to the idea that water is just is. Taking us into one of its lesser-known kind that brings in some great benefits is authority on hydrogen from the Molecular Hydrogen Institute, Tyler LeBaron. 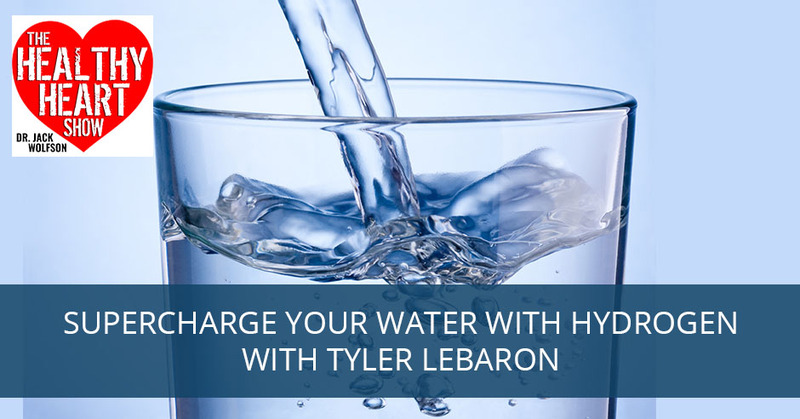 Tyler sheds some light into the healthy water or the hydrogen water. He talks about the importance of hydrogen water and how we are all deficient with it. He also shares the benefits of hydrogen gas even up to our cardiovascular system, and talks about why it is an antioxidant, how it may benefit those with neurological issues more, how it relates to microbiome, and more. I am excited to dive into healthy water and hydrogen water with my expert from the Molecular Hydrogen Institute. We have Tyler LeBaron with me. He speaks all over the world. He is an authority on hydrogen and how important it is, hydrogen water and how we’re all deficient in it. Tyler, welcome to the show. Thanks. I appreciate to have the opportunity to be here and help shed some of the awareness on molecular hydrogen research. Tell me how you got into molecular hydrogen. Back in 2009, I came across an article that was published in Nature Medicine and that was on hydrogen gas being therapeutic. That was important because Nature Medicine is one of the most respected peer-reviewed scientific journals. The impact factor is 27 or something. It’s a very prestigious journal. In this article, they basically found that by cutting the blood supply to the brain, inducing a middle cerebral artery occlusion. Cut the blood supply to the brain and that in turn would cause an ischemia-reperfusion damage. There are lots of free radicals. There’s no blood supply. You’d have severe damage and that would damage the brain. When they used hydrogen gas, 2%. That’s below the tolerability level. When they use 2% hydrogen gas, it markedly suppressed the brain damage in this animal model. They also found they could simply dissolve hydrogen gas into water. Even though it has a relatively low solubility, they can dissolve into water. This was also therapeutic protective. This got me curious because hydrogen gas is this inert molecule pretty much in terms of biological processes, but yet it’s having these therapeutic effects. That got me excited and going when I came across that article. Why were you reading Nature Medicine in 2009? Why were you even doing that? The typical electrolysis method where you would create what would be called alkaline water that is going to be removing hydrogen, removing a hydrogen gas as well and therefore, make it even more dangerous. It depends on how it’s done. First off, when you do the electrolysis of water, you add the electrons into the water and those electrons produce hydrogen gas. If you drop battery into the water, for example, you see bubbles coming off of the negative and positive side. At the negative electrode, you’re going to be producing that hydrogen gas and hydroxide ions, which is very alkaline. They have a membrane that separates the two compartments, the two electrodes so you have the alkaline water. Hydrogen: When you cool down the body or the brain, you also cool down everything. 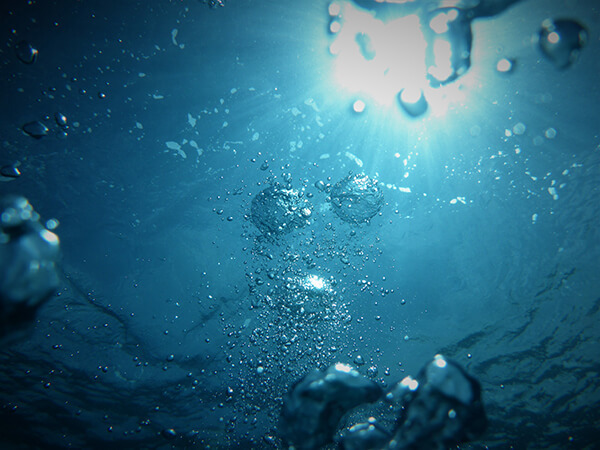 That hydrogen gas, if it stays dissolved in the water and is consumed, that hydrogen gas could be therapeutic for you. What you don’t know is what the hydroxide concentration is. They make a very high pH, for example, or maybe even degradation of the electronic material. You have these electrode contaminants, for example, into your water. Those types of things can be damaging, but the hydrogen gas could be beneficial. If you talk to those who are major advocates of drinking alkaline ionized water, they’ll tell you that in order to get the benefits, you have to drink the water fresh. It has to be right out of that machine pretty much or else the benefits are going down. In fact, you probably had heard people talk about even negative effects of drinking alkaline ionized water, but the reason why drinking it fresh will get the benefits because that water still contains the hydrogen gas before it dissipates out. It makes perfect sense. Let’s go back in 2009 and they were talking about that ischemia-reperfusion. You either clamped on a vessel and now you let blood flow again, you typically get a lot of oxidative stress and free radical damage that’s there. Therefore, the hydrogen gas would be beneficial because it is such a tremendous antioxidant. The same thing should apply in a cardiac model where you do have a coronary artery occlusion or the blockage of a coronary artery, whether through spasm or from plaque rupture. Either the body opens up the blood vessel on its own or you go to a cardiac catheterization lab and one of my cardiology buddies opens it up with angioplasty and stent, but you still have that Ischemia-reperfusion. Any literature on the benefits of hydrogen gas or supplementation in that group? It’s a growing area. We still have a lot more research to be done to show how effective it is, the best ways of administration. The preclinical studies in animals, in pigs and dogs, for example, show some good benefits. They started some early clinical studies and also there were good benefits. Now, they’re in Japan. They’re doing a major study with 360 patients with ten to fifteen different major hospitals. In order to do this major study, they’ve gotten the official approval from the Japanese government for hydrogen gas as an advanced medicine for the treatment of post-cardiac arrest syndrome and they have done some pretty cool studies already. First, the safety. That’s the first and foremost. The safety has been shown to be totally fine. To put this in context, the typical treatment for a post-cardiac arrest syndrome is hypothermia. For example, if they’re going to do surgery on the brain or wherever and they need to stop the heart, they’ll stop the heart. When they start the heart back up, that’s going to cause the exact same problem we talked about with this ischemia-perfusion, the blood perfusion again and hypothermia is very effective. When you cool down the body or the brain or whatever it is, you cool everything down and then you let the blood to go back in, the metabolism is a lot lower as you produce a lot less free radicals. The oxidative stress is a lot lower. When you compare a hydrogen therapy to this hypothermia, hydrogen gas is essentially as effective and in some cases more effective. Additionally, you get a benefit because hydrogen gas also can help attenuate inflammation. Decreasing the various form of inflammatory proteins like cytokines and Interleukin 6, for example, and it can decrease inflammation. Whereas normal hypothermia doesn’t have that effect. To your question, absolutely. The research has become more and more positive that hydrogen gas could be great for this area of all the cardiovascular system. Those studies, how are they typically doing it? Are they given a hydrogen gas through IV? Are they people breathing it in and that could be through a ventilator when people are unconscious after an event or if they’re using animals? How are they typically getting this in? It depends. There are so many ways to administer the hydrogen gas. Inhalation, if you have a nasal cannula, for example, or a face mask or the ventilator idea, those are some of the ways that are being done in terms of getting the hydrogen gas for inhalation. In the animal studies, we make a sealed box and then we pump in the mixture of basically hydrogen and oxygen so we can keep the concentration. We have them stay in that box for one to three hours, so they’re getting that inhalation of hydrogen gas. That’s how it’s typically being done in those using inhalation, but simply taking hydrogen gas and dissolving it into water is also a major way. In fact, that’s probably the most common way that’s being done both in research and in the market because it’s quite simple, by simply drinking hydrogen-rich water. Those are the two main methods, inhalation of hydrogen gas and the drinking of hydrogen-rich water or water that contains hydrogen gas. How do we get hydrogen gas into the water? How do we do that? There are several ways. Researchers know. We typically have a tank of hydrogen gas and we are able to connect it under pressure and bubble or infuse hydrogen gas into our water or distilled water, whatever the control water we’re using, then we infuse it with hydrogen gas under pressure. That’s how we do it. There are other ways in the markets that make hydrogen water. There are even electrolysis devices, for example, that will make hydrogen gas and separate. It doesn’t change the pH at all because they use a proton exchange membrane basically to prevent elevation of pH and that can make hydrogen gas. There are ready-to-drink hydrogen products also on the market, which you have to be somewhat cautious with. Hydrogen gas is the smallest molecule in the universe. It can immediately dissipate through your plastic containers. Any type of hydrogen product that is stored in a plastic container, it’s not going to have a very long shelf life. You have to make sure that the product that you’re looking contains the molecular hydrogen. They’re infusing. There are electronic devices. There are several types of tablets, for example, you drop into the water. The reaction reacts with the water to produce hydrogen gas. You can see that the hydrogen gas effervescing from the tablet reaction. That’s very simple. Those are probably the main ways in the market people are getting hydrogen water. In the research, we either use those products. We did a clinical study using these hydrogen-producing tablets. There’s another one that I’m involved with the nonalcoholic fatty liver disease, that clinical study in Europe. The tablets are a great way. When you look for animal use or cell culture or something, often we dissolve hydrogen gas under pressure into the water. Explain how hydrogen gas is an antioxidant. What do you mean? Typically, when we think of an antioxidant, we have this image in our mind that this antioxidant is donated in the electron to some free radical. That can be an antioxidant for sure. A better definition of an antioxidant is simply a molecule that improves the redox status of the cell. That’s the main goal. Even ozone, for example, which is not a reducing agent, is a very powerful oxidizing agent. Ozone therapy could result in antioxidant status, an improved antioxidant status or exercise is a good example. When we exercise, we produce a lot more free radicals but in the end, we have a higher antioxidant self-defense system because we have higher levels of glutathione, superoxide dismutase and all of these indigenous or our body’s own antioxidant self-defense system. Molecular hydrogen doesn’t act as a direct radical scavenger like maybe conventional antioxidants, but it’s more of a signal modulator. It’s able to increase our body’s own antioxidants like glutathione and superoxide dismutase. It’s similar to how exercise would. It activates a pathway called the Nrf2 pathway. Nrf2 is a transcription factor and it regulates over 200 different genes that are either protective and anti-apoptotic. That are anti-inflammatory. There are a lot of good benefits, detoxification, anti-oxidation and so on. Hydrogen gas is somehow able to activate this pathway, now we have an increase and up-regulation of our body’s natural antioxidants to help combat that oxidative stress. That’s one of the ways that hydrogen gas exerts an antioxidant-like effect is because it regulates our body’s own antioxidant homeostasis. It’s a lot more complex than an electron donor on the surface. It’s affecting so many different pathways. We find a good hydrogen gas in the tablet form or something that produces hydrogen gas when it’s dropped into water. Who should take it? It sounds like this miracle product that everybody should be on. That’s probably the simple answer, which you as the head of the Molecular Hydrogen Institute probably says. Is there anybody at all who should not use hydrogen tablets? Those who don’t want to. Hydrogen: Molecular hydrogen doesn’t act as a direct radical scavenger, it’s more of a signal modulator. If you’ve had an allergy to hydrogen gas before, don’t do it again. We’ve got that clarified. What we’re going to say is it would benefit everybody. Who does it benefit the most? We still need more research to understand what types of populations are going to be the most benefited. Let’s put it this way. Those people who are the most out of homeostasis, they have more severe metabolic syndrome. They have more disease states where they’re suffering more than their normal counterparts, they typically experienced greater effects. When we look at some of the studies that are quite powerful, for example, mild cognitive impairments, dementia or Alzheimer’s disease, some of the clinical studies, again they’re small but they range from twenty to 100 patients, from a few weeks to over a yearlong showing some good neurological benefits. Those people who have these disorders per se are going to benefit greater, which would make sense. For example, your glucose levels need to be around 85mg/dl or something, then if you take hydrogen, you hope that your glucose levels don’t get any lower than that. You want to keep them in that range. If you’re a diabetic and have very high glucose levels, 400 or 500 or something, then you hope that by taking molecular hydrogen, those levels will decrease. We see that in some of the clinical research, for example. With some of the patients with metabolic syndrome, we saw some good effects of improvement in cholesterol levels, HDL levels, their glucose oxidase, glucose tolerance and so on. How much hydrogen in tablet form does Tyler LeBaron take on a daily basis? We can calculate it out. Two grams per mole so what we have to do is calculate the dosage because I get hydrogen from so many different ways. Whether I’m in a laboratory and I’m like, “I’ll go ahead and have some of this or drink some of that. If I calculated it, I get anywhere from none sometimes I don’t take hydrogen because I’m busy or whatever reason to maybe up to 20 milligrams of hydrogen a day. You have to look at the volume of water you’re drinking, what the concentration is and what that would account to in a dose. That would equate to around probably half a tablet to up to six tablets a day. On a daily basis. If you have more disease, if you have more sickness as we’ve mentioned, whether it’s diabetes or cognitive dysfunction or any significant cardiovascular or autoimmune or gut issue, maybe you want to try and reach for more of it. If you’re on the healthier side, maybe not quite as much, but roughly hitting that range of one to two tablets on a daily basis? When we look at the clinical studies, for example, the lowest amount is around 0.5 mg of hydrogen per day to be effective in those conditions and those studies of that population. There doesn’t always appear to be a dose-response in every disease and in some diseases or some conditions, there does seem to be a dose-response effect. The important thing is a high dose of hydrogen isn’t as far as what we know so far isn’t ever and less effective than a lower dose. The idea is getting a high dose is sure is the highest probability of you getting that benefit. We apply that even with exercise. Exercise and disease models are very similar because they both have higher levels of oxidative stress, of inflammation and other issues. We see greater benefits, often in exercise with higher doses. Sometimes that can also be problem. I know for me personally, I don’t experience any significant benefits from hydrogen. I’m like, “I’ll take that” and I’m in the zone or something. However, I do like to exercise and train hard. When I do a push myself hard, I’m out of homeostasis and I take high doses of hydrogen. That’s when I tend to believe I feel it the most. Again, that’s more anecdotal. There are some clinical studies to support that as well, but certainly more needs to be done. If you’re an endurance athlete, what do you want to take? Are we talking about three to four tablets a day of whatever your recommended brand is? In general? Hydrogen gas is safe and we don’t have enough research, the best advice is to take one or two tablets and continue to increase that until you start feeling the effect. For me, I feel the most when I take like six tablets or so. That’s when I start to get an effect. If I’m taking with the tablet form, maybe a different form, then I have done something else. I’m trying to put this for your audience in that regards. One thing to consider, the tablets have magnesium. Most people are deficient in magnesium anyway. We need like 400 mg or 500 mg is around the RDA for that. It’s possible you could take too much magnesium. If you’re sensitive to that area, you want to calculate how much magnesium you’re taking. One tablet contains around 80 milligrams or so. That’s quite a mild dose than all the other magnesium supplements out there even. If you get diarrhea from your hydrogen tablets, it’s probably from the magnesium. If you’re on dialysis, do not listen to this episode. It sounds like there is no overdose possibilities. Probably the only downside from what we’re talking about is maybe hydrogen products can be a little bit expensive for the quality stuff. You always remember you get what you pay for. The product that we use at The Drs. Wolfson and what we recommend. I’ve only been using it for a few months. I’m like you. I necessarily don’t feel any better from it, but I don’t want to wait for the disease to happen to me. I’ve seen disease happen to people. Everybody is healthy until the day that they’re not. Why not be proactive? I’ve got to be honest with you. I like the way the water tastes when I put the hydrogen tablets in there. It gives it a little bit of that effervescent type of bubbly feel. Maybe if somebody can invent a product and maybe somebody has, I know there’s a lot of different stuff that’s out there. One that gives it lemon-lime flavor effervescent. There are lots of little areas to continue and consider in that area. I agree though, with hydrogen gas, it is a lot on the prevention. That’s where it’s at. When we look at the studies, for example, a lot of times we want to do pre-treatments. We want to do a pre-treatment of hydrogen therapy, we see some good effect. We do pre-treatment and then we give the cells or the animal or whatever a stress and that was good. For example, in Parkinson’s disease, one of the first studies that came out on animals, they gave hydrogen water for so many weeks then they induced stress, a chemical to damage the substantia nigra in the brain to cause Parkinson’s disease. Those rats that were drinking hydrogen-rich water, they completely prevented them from developing the Parkinson’s disease. We look at other studies. 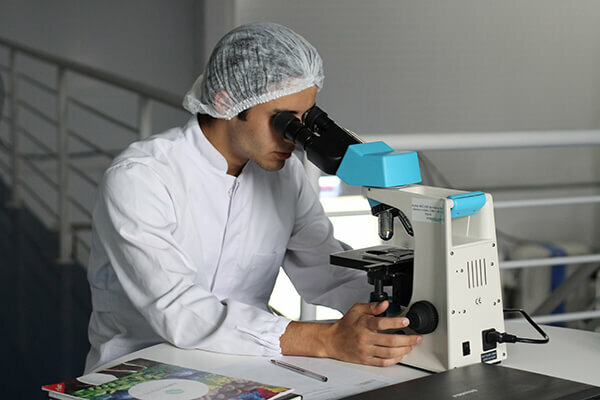 There are some cool studies in cell culture also that had been done that are prevention. You administered the hydrogen gas. You dissolve it into the cell media at physiological concentration, so around twenty micromolar or so which is about what we get after we ingest hydrogen water. We see that if we did that first and then we expose the cells to some common plastic pesticide or whatever it is, that the hydrogen gas is able to maintain a normal homeostasis of say inflammation or redox balance or the NAD+ to NADH ratio. Many different things we’re able to maintain at that homeostatic level by this pretreatment of hydrogen gas. We can’t do this so well in clinical studies like, “This person is going to suffer from a heart attack or whatever so we do a pre-treatment hydrogen gas.” There’s no way to do that, but we can do that in animal studies and in cell studies and we see this idea of prevention, hydrogen gas is very good. You can think about it like this. You wake up in the morning, you don’t know what’s going to happen that day. You don’t know what you can be exposed to. You don’t know what accidents might happen, but maybe by simply taking molecular hydrogen, that’s going to potentially mitigate damages that would happen later on. How does molecular hydrogen tablets taste in coffee? Have you ever dropped it in the coffee? I don’t know if you’re a coffee drinker or not. I haven’t tried that. I do like my cup or two of organic coffee in the morning. I’ll have to try it and see for myself. Hydrogen: You don’t know what you can be exposed to, but taking molecular hydrogen is going to potentially mitigate damages that would happen later on. I personally don’t drink coffee. I know some people will do that. The one thing you have to consider is because hydrogen is a gas, if you would put it in the hot coffee, it might dissipate out a little bit too fast before you end up ingesting it. It doesn’t have to be hot either. People have sometimes the coffee is cold. Typically, before I drink coffee in the morning, I drink about sixteen ounces of water beforehand to get rehydrated from the night and stuff like that. I’ll make sure I do that in the morning as well. I’m thinking about people with leaky gut and sometimes healing leaky gut can be difficult. Still, there’s gut inflammation that’s there. Do you see a role of hydrogen tablets in the healing of leaky gut? More research needs to be done, but there are some interesting suggestive research in that area. The inflammation in the gut, for example, there’s some research showing that simply ingestion of hydrogenous water, even inhalation for that matter can help improve the gut barrier and the gut layer. There’s somebody even suggest improving the microbiome. Getting that back to the homeostasis. If we have a healthy flora, our healthy flora should produce hydrogen gas, up to ten liters, a couple of gallons of hydrogen gas a day. The high use of antibiotics, not as much fiber, all these things, that’s going to decrease the amount of hydrogen gas that’s naturally produced. 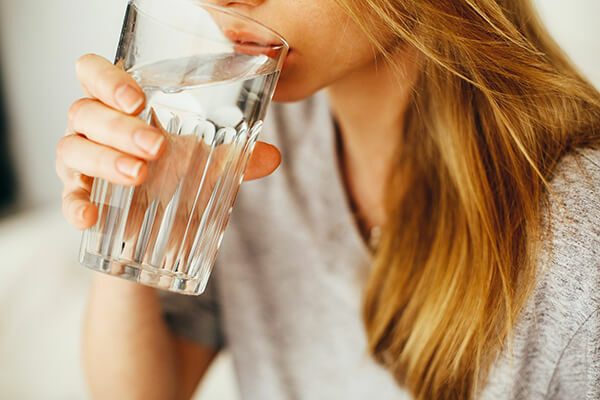 When we take high doses of hydrogen-rich water, we’re giving that high intermittent exposure very quickly and that does seem to improve the gut lining issue and things. More research needs to be done in that area because it is potentially one of the important targets of hydrogen water. It helps to maybe explain why hydrogen water may give a different result than inhalation. It all goes back to the gut microbiome. My wife told me that in 2005. She was like, “It’s about the gut and the gut microbiome totally.” Any research though on those Parkinson’s patient? Let’s shift gears back a little bit to where we were before with Parkinson’s patients and hydrogen water. That should be easy enough to do. You take ten patients here, ten patients don’t get the hydrogen-rich water and symptoms improve over here. Shouldn’t it be that easy? Some of the first clinical studies were done on Parkinson’s disease because the animal studies and there’s quite a few of them and they’re quite impressive. Quickly, there are clinical studies that we’ve done. The first one was published in 2013. It was small. It was maybe 80 or 90 patients or so and about 48 weeks long. In that first study, there was a great improvement for those drinking hydrogen-rich water. There was a study that was completed. It was three years long. It was a couple hundred patients, but maybe it wasn’t a full three years. If you look at the study, in this case, it would suggest that maybe hydrogen water wasn’t very effective because there was no difference between the hydrogen water and the placebo. If we analyze the data and I’m fortunate enough being involved in the hydrogen research that I have many conversations with some of the other researchers in Japan on this. This is a very interesting story. One of the most unfortunate things that happen in science from time to time when they prepare the hydrogen water and the placebo, they try to do such a good job as researchers to make sure that it was a good placebo product and indistinguishable between the researchers and those drinking it that the placebo ended up having hydrogen gas in it. That could be anywhere from 0.1 ppm up to 1 ppm even. The placebo water had molecular hydrogen in it. When they looked at the results, there was no difference between the placebo and the hydrogen water. This is the thing. When they look at the trend, our problem is it continues to trend down. When you looked at how long this study went for and you compared how much decreased there was in this study compared to the other studies that also went the same amount of time and how far they decreased. The decrease in other studies was three times more than the decrease in this study. It may suggest that hydrogen water was quite effective both in the hydrogen gas and the placebo as well as the actual hydrogen water. That it was somewhat effective at decreasing the quick decline, the Parkinson’s disease study. This is currently being further investigated to see what the situation is. I know some of the research were doing the analysis in some of the people and they can tell these people are getting better. These are not typical Parkinson’s disease patients. There’s something beneficial going on here. It’s interesting that inside information on that study. We’re going to have to do it again. We’re going to have to do a better study and a longer one. Hopefully, this time they’ll be able to make sure there’s no hydrogen gas at all in the placebo. The point is it didn’t show much difference within the study itself, but when you compared it to the general Parkinson’s population that progress much faster than either group did in this study. Whether you were getting control or you’re getting the active product, it was all beneficial. We can attribute that to the hydrogen gas, the hydrogen in the water that was in there. You mentioned as far as foods are concerned that can increase indigenous hydrogen production. You already said anything that would be good for the gut microbiome would be beneficial. The gut microbiome can produce hydrogen gas. Anything else outside of that arena or is it all by improving the gut microbiome? The bacterium metabolizes non-digestible carbohydrates. It goes back to your fibers. Various drugs such as a lactulose which is quite effective for different diseases. Lactulose increases a lot of the hydrogen gas production and in some cases, the increased hydrogen gas production that may mediate some of the beneficial effects of the drug like acarbose or other types of carbohydrate digestion inhibitors. Some of the cardiovascular benefits from these drugs or different things may be attributed to the increase indigenous production of hydrogen gas from our gut microbiome. I wanted to say one thing I forgot to mention when you asked about the antioxidant and the radical scavenging area, I wanted to differentiate quickly a lot of your antioxidants, they do donate an electron if you will. They’re non-discriminant. They’ll react, “You’re a radical. I’ll neutralize all of you.” You being a cardiologist, you know that we need free radicals like nitric oxide. That is the molecule of life in the most literal sense. Nitric oxide is a free radical. We don’t want to neutralize all free radicals. Hydrogen gas, it cannot react with nitric oxide. It’s so mild. It’s this small little mild molecule that can’t react with these beneficial radicals. If it’s going to react with anything, it can only react with things like the hydroxyl radical, which is the most cytotoxic damaging radical that there is. If that reaction does occur, you simply produce water. It’s a pretty neat area that hydrogen gas is. If it’s going to do anything directly as an antioxidant, it’s very selective. It’s only going after the bad ones. Most of its antioxidant activity is probably more of this signal modulation, whether an increase in our body’s own antioxidant self-defense system or even decreasing the amount of excessive free radicals that are produced by down-regulating things like NADPH oxidase, which increases free radical production. Why is it being studied so much or why do you spend so much time over in Asia as opposed to here in the United States? What do they understand over there that we don’t here? A lot of it is timing. It was first started there in Asia in around 2005. That’s when the research first started. In 2007, the article in Nature Medicine was published and that’s the pioneering work of all those studies. The research is still in its infancy. There are around a thousand scientific publications on molecular hydrogen. A lot of that does come from Asia. To do a good study and to publish a good study, we need to realize it takes five years to do a good study. You have to take several years to get the data, several years to analyze it and put it in a whole paper together and another year to get through the peer-review process and get it published. You’re looking at five years to get a good paper published. That landmark paper in Nature Medicine is only over ten years old. I would say that the research here is growing quite exponentially. There are some places here in America that I get interested in. I did some research through universities here like University of California and there are professors there that are interested in it. There are some universities to where I live that are working on some preliminary things right now. The Stony Brook University has a registered clinical trial. They’re actually using the tablets that you’re talking about too for the cerebral infarction. There are some things going and starting here. To get the research going, it costs money. We need to get the seed money to get through before we get the government grants. In Asia, China is a good example of the government’s given several million dollars specific just for hydrogen research. They get a lot of funds in that area. European scientists are getting quite interested from the Max Planck Institute to Slovak Academy of Sciences. That’s why I’m doing a lot of our research there in Slovak Academy of Sciences. It is growing. We’ll see a lot more of it in the next two years. I’m thinking also about when people suffer massive free radical onslaught maybe through some radiation-based procedure. Maybe they’re having a CT scan, maybe they’re having a nuclear cardiology scan, which is totally worthless. That may be a case where you’re going to go to hydrogen water and do it in a very extensively versus if you’re watching TV on a Sunday or something like that although there can be as much damage done from watching a television set sitting on your couch as well. That’s where I could definitely see it. Hydrogen: To do a good study and to publish a good study, we need to realize that it takes five years to do so. We submitted an article and there’s already some published on this very thing. Irradiating the heart with five, ten rays of radiation and finding that drinking hydrogen-rich water is very effective at preventing the pathological damage into the heart. We’re seeing that activation of Nrf2 pathways. We have the homeostasis of our endogenous antioxidants to get that back there preventing the increase of inflammation, for example. We’re still working on getting more data, but some of our preliminary results are showing that the hydrogen also increased the amount of Coenzyme Q10 within the mitochondrial membrane. We see higher amounts of ATP production, for example. There are lots of benefits there. All from protecting the mitochondria against this radiation toxicity. In China, it’s very big too because of the Chinese military, they do a lot of radiation toxicology studies. They’ve done a lot of showing hydrogen is very protective. In fact, radiation is probably one of the top things that have been studied in terms of being hydrogen, a therapeutic protective molecule against radiation toxicity. Michael, who works with NASA, wrote a beautiful paper using hydrogen water for astronauts during space travels to protect against radiation poisoning. Tell me the difference between a good tablet and a bad tablet containing hydrogen so we can get that hydrogenated water? How do we know if we’re getting snake oil or versus something that’s therapeutic? A couple of things is in the tablets, they do contain magnesium. It’s not your normal magnesium that you get at the health food store. This is a specially formulated so that it can and does react with water to produce hydrogen gas. You don’t want to think, “Magnesium, I’ll go to the health food store and grab that and throw it in the water and there you have it.” You’d have to make sure that whatever company you’re getting that from that you trust them. That they do their research to make sure. You should be able to add to the water and immediately start seeing a reaction. You can test the concentration of hydrogen gas using the redox titration reagent to H2Blue from H2 Sciences. That’s what they do. They specialize in measuring molecular hydrogen. That’s one of the ways that you can test it. Another way, which is fun is you can take the towel, put it in the water and capture the hydrogen gas and then light it on fire. You can see for yourself right there that indeed it does produce hydrogen gas. That’s fun to do sometimes. That last tip is don’t try that at home unless you are a scientist like Tyler LeBaron. Where can my people find out more about you and your research and what the future holds? You’re welcome to visit our website, MolecularHydrogenInstitute.com. We listed a lot of the studies there. If you go to the scientific studies, you’ll see about a thousand publications and try to organize them from different diseases or organs. You can click and look to see what’s been done. We have a lot of general information about what hydrogen is or what it isn’t. People get confused, “Is this like hydrogen peroxide,” which is totally different. “Is this alkaline water? It’s totally different. What is it?” We provide that on the website. You’re welcome to find me on Facebook. I often post articles like I was in China. I spoke at a conference over there. I was posting some new pictures of what’s going on in Asia. I posted an article. I was a coauthor on hydrogen therapy for ovarian cancer. I post updates as I can. You’re welcome to find me through those mediums. Tyler LeBaron from the Molecular Hydrogen Institute. This has been another episode of the Healthy Heart Show with Cardiologist, Dr. Wolfson. Until next time. 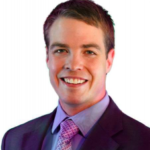 Tyler W. LeBaron is the Founder and Executive Director of the science-based nonprofit Molecular Hydrogen Institute. His background is in biochemistry and exercise physiology. He was a 1-year Adjunct Instructor of Physiology and interned at Nagoya University in the department of Neurogenetics to research the molecular mechanisms of hydrogen gas on cell signaling pathways. He is a director of the International Hydrogen Standards Association (IHSA) and the International Molecular Hydrogen Association (IMHA). He speaks at Medical conferences in the US for doctors CMEs/CEUs, and at academic biomedical hydrogen symposia and conferences around the world. He is also a member of the Academic Committee of Taishan Institute for Hydrogen Biomedical Research. He collaborates with researchers at home and abroad and helps advance the education, research, and awareness of hydrogen as a therapeutic medical gas.